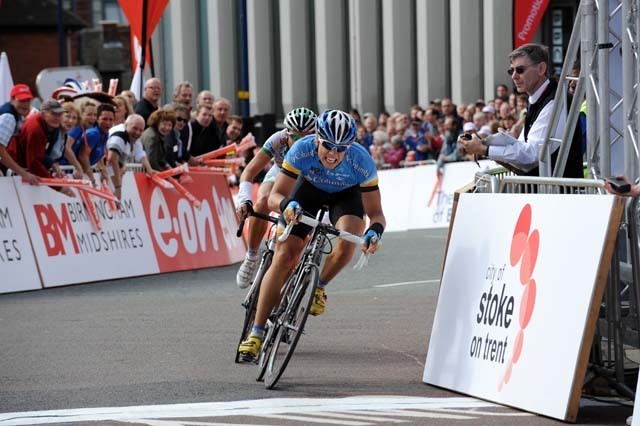 Talented young Norwegian Edvald Boasson Hagen (Columbia) snatched stage victory at the Tour of Britain in Stoke on Trent on Wednesday with an impressive acceleration in the final 500 metres. Boasson Hagen was part of the ten-rider break that went away over the first king of the mountain sprint and then jumped away on the climb to the finish as the bunch caught the remains of the move. Boasson Hagen managed to catch late Giairo Ermeti (LPR) who had attacked in the final kilometres and despite the Italian taking him wide in the final corner, Boasson Hagen got past him to win. Just 21, Boasson Hagen is one of the rising stars of the Columbia team along with Mark Cavendish, Tony Martin and Gerald Ciolek. He won the time trial at Criterium International and recently took a stage at the Eneco Tour. He is both a powerful sprinter and strong time trialist. ?I jumped across to Ermeti with about 300 metres to go, just before the last roundabout. Nobody wanted to go, so I went for it. It was close but I won it. Ermeti went a bit wide but I was lucky to get past him.? ?I heard over the radio that the bunch was getting closer and closer, so I knew I had to attack. 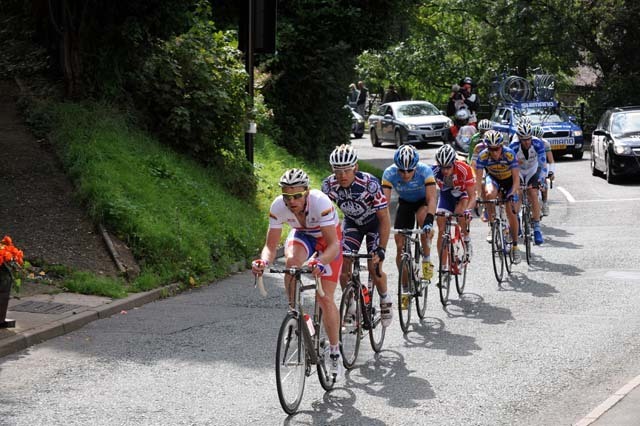 I went when I heard Roger Hammond scream to go from behind in the peloton. I lost the chance of overall victory yesterday, so this makes up for it a little bit.? The stage through the Midlands was expected to be a quiet day in the saddle after the hard racing across Exmoor in the rain on Tuesday. However with Ermeti in the 10-rider break and a major threat to Agritubel?s race leadership, the bunch never let the move go away, causing a pursuit match and an average stage speed of 43.44km/h. Race leader Emilien Berges (Argitubel) was hoping to hang on to the race leader?s jersey but he punctured after hitting a pothole ten kilometres from the finish and lost 1-13 to Boasson Hagen and a minute to his overall rivals who were in the nine-rider break on stage three. As a result his team mate Geoffroy Lequatre took the yellow jersey but Steve Cummings (Barloworld) is now second, just six seconds behind him. Gabriele Bosisio (LPR) is third at six seconds and Ian Stannard (Great Britain) is fourth at 11 seconds. Dan Fleeman (An Post) is fifth at 13 seconds. Ben Swift (Great Britain) missed the key break on Tuesday but made up for it by getting in the break and taking the climber?s jersey. He did the same on stage four in last year?s race and is again targeting the jersey as his main race objective. 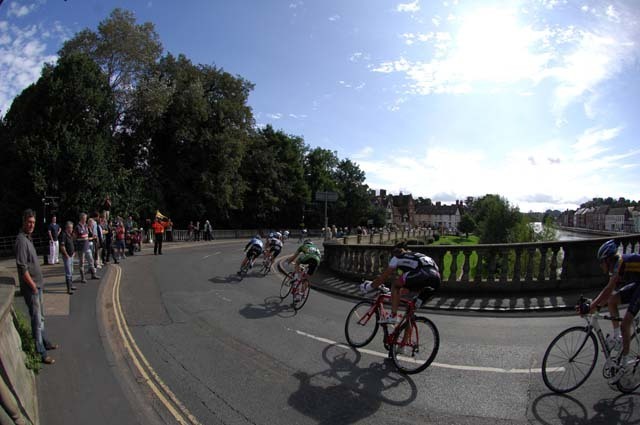 The Tour of Britain is already at the halfway point but with such a close overall classification, there is still a lot of great racing to come. 10. 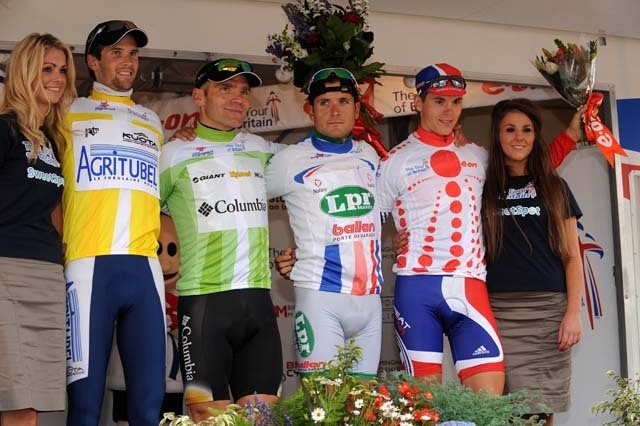 Matthew Goss (Aus) CSC-Saxo Bank at same time.